Love this dealership and everyone I have come in contact with. Purchased my car in December with a FLAWLESS and EASY purchase. No pressure, no gimmicks, just honest business. Recently went in for an oil change and received top notch service at a very reasonable price.Ron Tonkin Kia will always have my business for my vehicle needs. 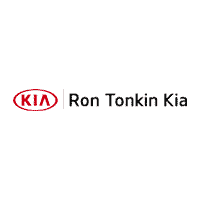 Had a very positive experience at the Gladstone Ron Tonkin Kia. Jaron and Doug were extremely accommodating and professional. We'll reach out to them the next time we're in the market for a car. Bought my beautiful new Lexus here, super staff and service. I had no idea what I wanted when I walked into the lot, I looked at a lot of different vehicles and ended up finding exactly what I wanted! Allen Bell was very helpful and friendly in assisting me with finding a new car. The process was quick and and painless! I did not feel pressured. We won’t go to another dealership, we purchase all of our vehicles here. the staff is so easy to work with and never feel pressured. Scott was a helpful salesman and was down to earth and didn't give me the run around with my car. I ended up getting a 2019 Forte, wasn't what i went there looking for, but ended up falling in love with the ins and outs of the car. Initially it looked like I wasn't going to be able to afford it but they made it happen! Rebecca was also very friendly and didn't stress me out on anything while signing documents! I definitely will be recommending this location to friends and family. Nabil was great, easy to work with. Another easy car purchase.